Habitat: Desert, Upland. 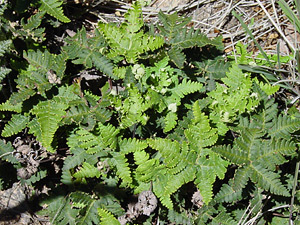 These attractive ferns can be found growing on rocky hillsides, typically in rock crevices or the shade of large rocks with other ferns. Description: The fronds are shiny green above, paler and yellowish below, up to 4 inches (10 cm) across, and shaped like 5-pointed stars. 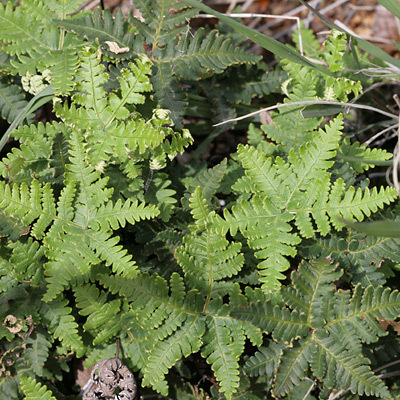 These desert ferns are drought tolerant and become dry, brown, and curled up with lack of rain.